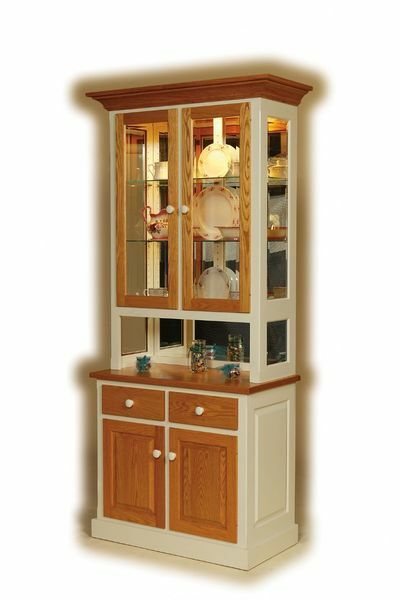 Enjoy endless customization possibilities with this stunningly handcrafted Amish Shaker Two-Door Mirrorback Hutch. Contact our Amish furniture specialists today and create an original hutch based on your design preferences; you can select your own hard wood finishes, lighting settings, hardware, doors and more! Proudly made in America.